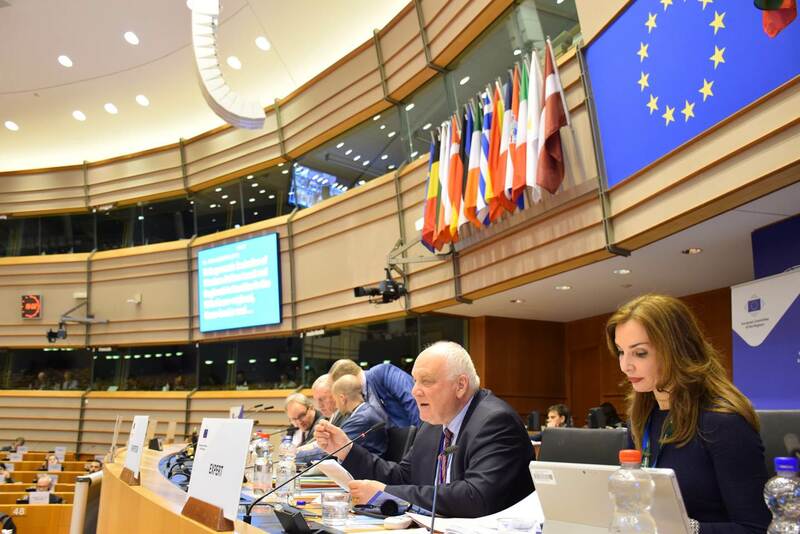 At the 128th plenary session of the Committee of the Regions, held on from the 22nd until 23rd of March 2018, the 350 representatives of the regions, cities and municipalities looked forward to joint opinions on migration and enlargement prospects for the countries of the Western Balkans (Serbia, Montenegro, Albania the former Yugoslav Republic of Macedonia and Bosnia-Herzegovina). The adoption of the Opinion on the involvement of local and regional authorities of the Western Balkans in the macro-regional, cross-border and other initiatives of transnational cooperation in the EU by Salzburg’s representative in the Committee of the Regions, Franz Schausberger, was followed by a lively debate EU Enlargement Commissioner Johannes Hahn.The statement of Salzburg’s CoR Representative Franz Schausberger was accepted by an overwhelming majority. An important part of the debate was the question of strengthening democracy, administration and the rule of law in the countries of the Western Balkans: In the related reforms for the Western Balkans, CoR Representative Franz Schausberger sees an absolute prerequisite for a successful accession of the states of the Western Balkans to the European Union. The prospect of accession for the Western Balkans must not least include a perspective for strengthening the EU. At the same time, the CoR strongly supports the Commission’s clear statement that these prospects can only be achieved if the Western Balkan countries fulfill all the necessary criteria and conditions, in particular to strengthen their democracy, and if all the necessary reforms, peculiar in the areas of security The rule of law, competitiveness, regional cooperation and reconciliation. There should be no political exceptions and conditions should not be changed during the process.